Billy Brooks, their resident engineer will be piloting this car in the Battle Series for Cobb Tuning. Billy has extensive racing experience with SCCA and NASA and most recently placed 1st in the Street FWD class at the Redline Time Attack event at Buttonwillow earlier this year. 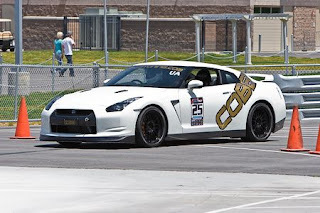 Now onto their time attack Nissan GT-R35. sweet. thanks for posting this. we'll have the matchups announced monday.